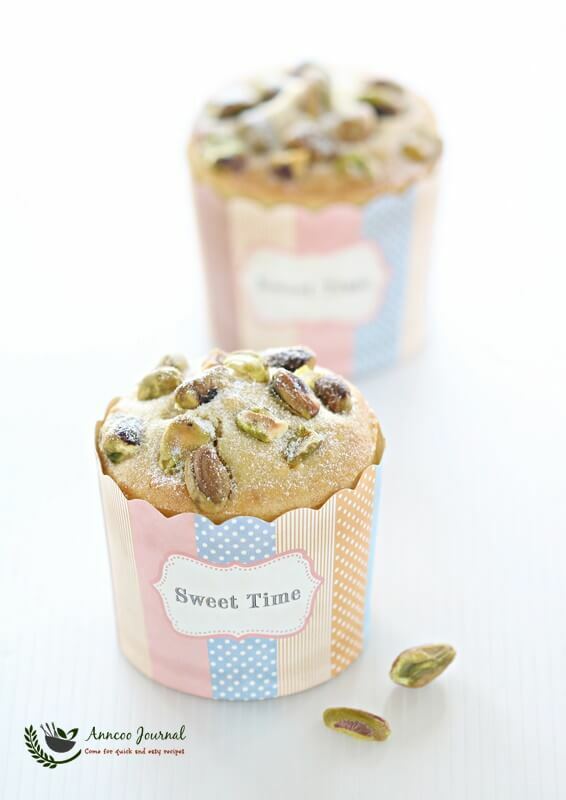 These Orange Pistachio Muffins are perfect for tea time snacks. 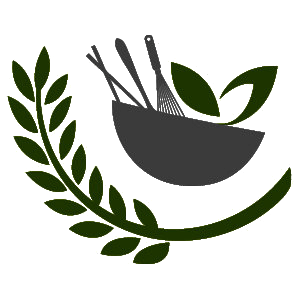 This is a very versatile recipe as you can change the flavour or add any type of nuts that you fancy and make your own creations. 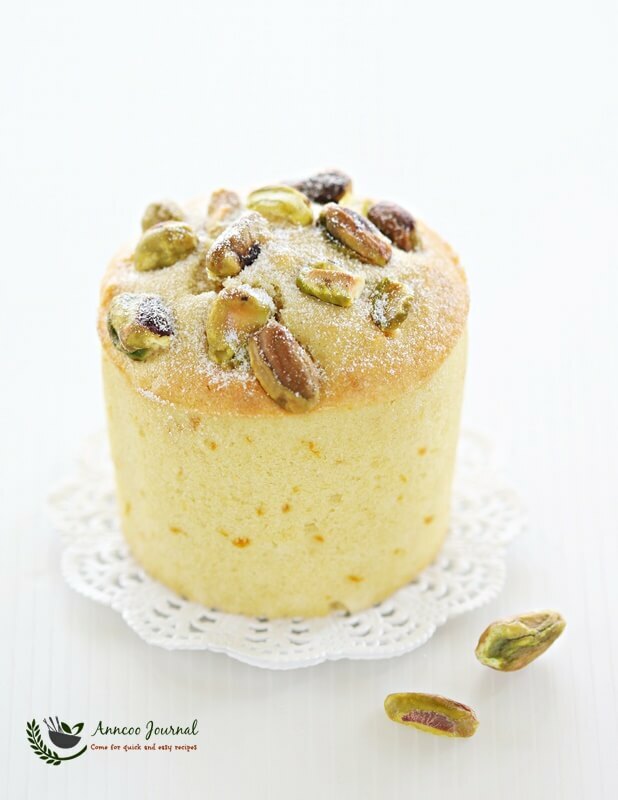 The orange juice and zest give a real good orange taste to these muffins while the pistachio nutty topping is what gives these muffins their signature crunch. Sift flour, baking powder and soda together, add orange zest and mix well, set aside. Combine milk and orange juice together and set aside. Beat butter and sugar till light and fluffy at medium speed. Gradually add flour mixture and milk mixture alternately until mixture combined (do not ove rmix). Scoop batter into piping bag and pipe into 5-6 muffin liners to 3/4 full. Add some pistachio nuts on top. Bake in preheated oven at 170 deg C for about 25-30 minutes or skewer inserted comes out clean. Do not overmix the batter, the gluten in the flour can form elastic gluten strands – resulting in a more dense, chewy texture. Hi Ann may I know how long can I keep these muffins ? 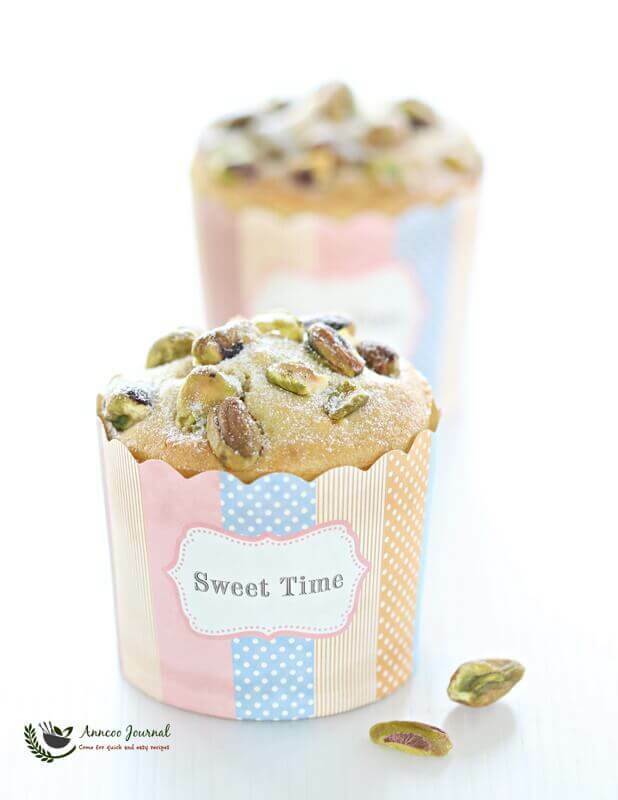 IHi Janice, is better to finish up the muffins within 3 days. The muffins will dried up the longer you keep. Looks yummy and a nice and neat layout, Ann! Must be a lovely flavor, orange and pistachios! Yummm thanks for the inspiration! They look so tender and beautiful.